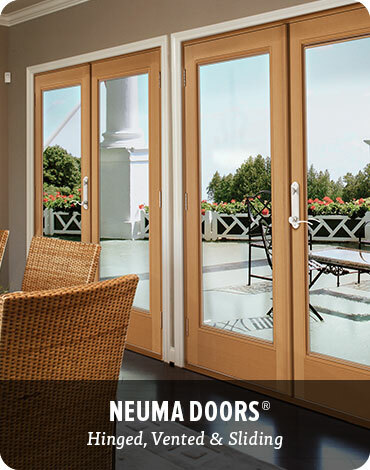 Reeb® stocks the top selling center hinged and gliding fiberglass patio doors from Neuma® Doors and can special order nearly anything in their extensive product catalog, but that's not all. 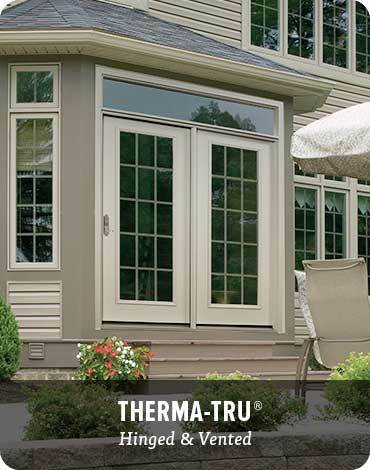 We also build basic, economical hinged patio doors with multiple options for glass and hardware using quality fiberglass and steel doors from Therma-Tru® and wood doors from Simpson® Door Company. All composite (fiberglass and PVC) factory-built patio systems tested and rated for wind, rain and pressure. Fiberglass and steel doors create an economical hinged patio system. 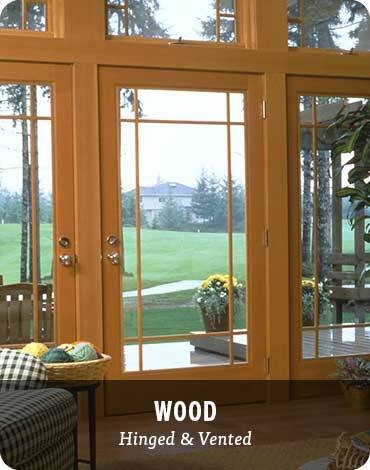 Wood doors also create an efficient hinged patio system.